Want to save money? Coach Kameel's bike fit did it! His bike fitting session saved me $1,000+, as my old bike feels like new after all adjustment for a good bike fit were made. I learned that I need a good bike fit, not a new bike. So, my alleged entry level bike got a second chance to shine. I asked Coach Kameel to do a bike fit. Armed with bike measurements, I planned to buy a "good fitting" bike. But, after his bike fitting session, it turned out that I don't need to buy a new bike. 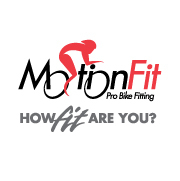 He made all adjustments on my existing bike based on his analysis and my feedback. The new fit makes me feel comfortable and powerful on a ride, something I'd have expected from a new bike. Unless fitted correctly, a new bike may not deliver...very happy with the results.